Breathe, Trust, Relax...we've got this. 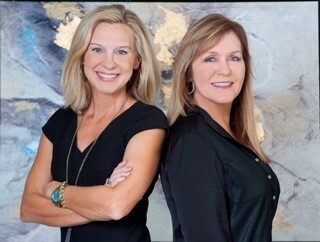 When my husband and I decided to sell our home, there was only one real estate agent we thought to call, Kathy Beene with RE/MAX Professional. We were a little concerned about the sale of our home because it was affected by the 2016 flooding. However, Kathy easily calmed our fears and was quick to take on the task. Because of her hard work and wonderful marketing ideas, she obtained a purchase agreement on our home within 2 weeks of it being put on the market. We were amazed! After the sale of our home, we enlisted Kathy, again, to help us search for a new home and were not disappointed. She put a great deal of work and thouhtfulness into the listings she presented to us, for what could be our next home...and we had her showing us many, many homes. Throughout the process of looking for our new home, Kathy was extremely patient and always willing to show us more. Thanks to Kathy, we found the home of our dreams, We will be forever grateful to her for all of the dedication, patience and hard work she put into helping us. She is truly the BEST! Kathy was always available, had a super positive attitude and possessed unbelievable wisdom and knowledge about the real estate industry. The sale of my house closed exactly one month after the offer was made. WOW! Thanks, Kathy, for keeping me informed and sane during this process and for frequently going way beyond the call of duty. the real estate process for you. Check out market trends in your area! Sign up for regular updates.